Publisher Digerati and developer JoyMasher announced today that Oniken: Unstoppable Edition and Odallus: The Dark Call are both heading to Switch. They’ll both be out on February 8. Switch owners will be able to take advantage of a 20% launch discount for Oniken: Unstoppable Edition on the eShop. If you purchase that game, you can receive a 10% discount on Odallus: The Dark Call. Play-Asia will also be offering a couple of physical versions. 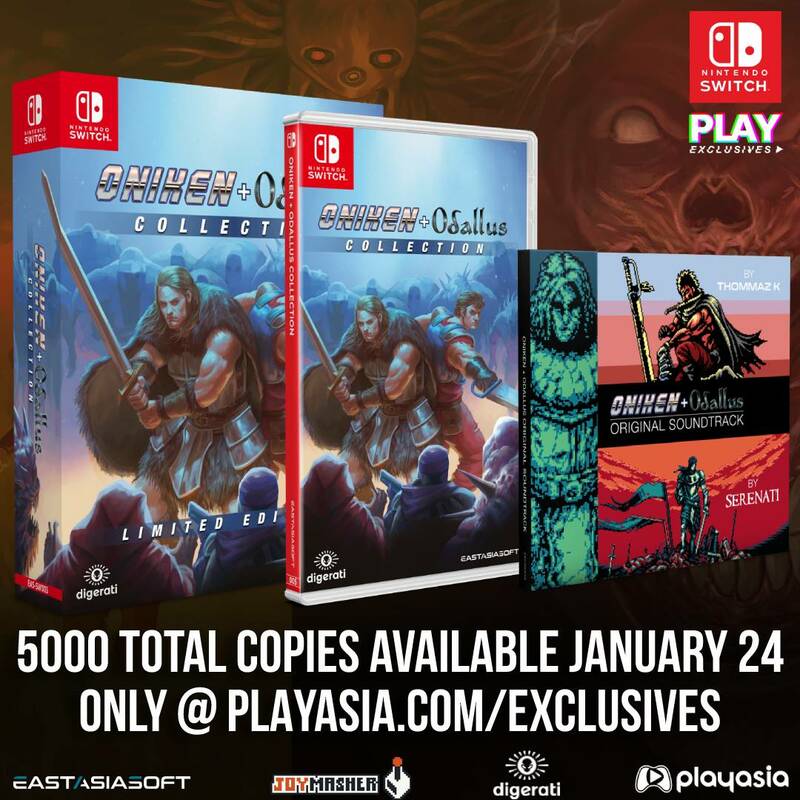 Pre-orders for the Oniken + Odallus Collection as well as a limited edition open on January 24. When a global war nearly decimated humankind, an evil military organization called Oniken takes advantage of the situation to dominate and oppress the few remaining survivors. Even though any resistance to this organization seemed hopeless, a small rebel movement organizes strikes against Oniken. One day, a ninja mercenary named Zaku offers his services to the resistance for unknown reasons. His moves are lethal and now he is the resistance’s only hope. Oniken is an action platform game highly inspired by the 1980’s, its games and its movies. You can see this not only in the graphics and sound design, but also in Oniken‘s story and difficulty. Don’t Worry, You Will Die A Lot Of Times. Odallus is a classic exploration/action game, inspired by Ghosts’n Goblins, Demon’s Crest and Castlevania. Player takes place of Haggis, a warrior tired of fight who must wield his sword once more to rescue his son from Darkness.